Treat yourself to technical, versatile protection with the LD JAIPUR GORE-TEX ZIP IN JKT, a clean-cut design that scores top marks for its waterproof, breathable membrane and fully sealed seams. Mix & Match compatible with many insulated items in the range. The LD JAIPUR GTX ZIN IN-JKT combining the best insulation and the best protection, fits the bill for everyday wear or on a weekend trip to the chilly latitudes of Oslo or Aberdeen. A smooth, thick fleece serves up all necessary warmth, while the waterproof, breathable Gore-Tex® membrane delivers market-beating protection against wind and rain. Dodge the raindrops with this unbeatable performer in the waterproofing stakes! Its outer fabric is supple, pleasant to wear, and gives no hint of its technical prowess. This is not just a lightweight, versatile, urban-friendly sports number, but two jackets in one: jacket and liner can be worn combined or separately, to opt for lightness and protection from rain (just the jacket) or warmth (fleece liner only). Or zip them together when you reach the top of La Tournette above Lake Annecy, and you fancy a tea break while savouring the autumnal scenery. 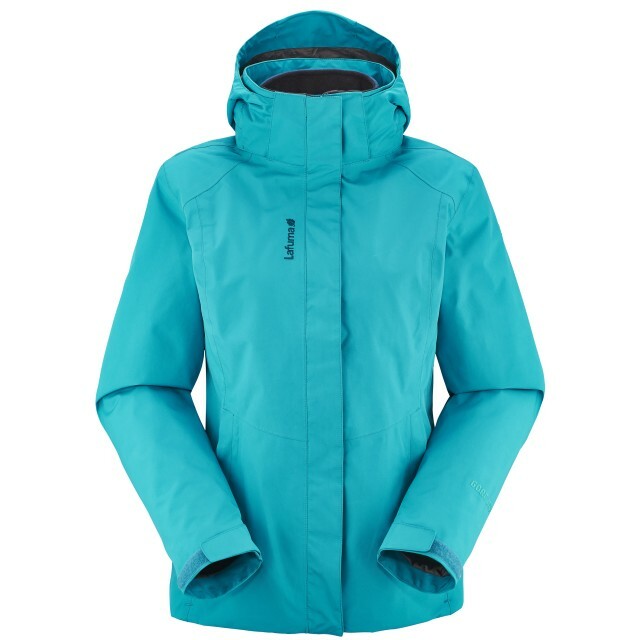 All the know-how of a 3in1 jacket, to get maximum enjoyment from your winter walks and treks. The LD TRACK 3in1 JKT provides perfect protection, combined with the guarantee of optimal warmth thanks to its zip-out inner jacket with PrimaLoft® fill. This feminine jacket will be a seriously modular companion. All year round, the Fastrack 3in1 Loft keeps you warm and protected. En route to the office or on a snowflaked walk amid Jura Mountains pines, this waterproof jacket is a key item in your winter wardrobe. In summer its liner, worn on its own, keeps you toasty on clear nights. In spring and autumn, the super-packable outer garment can be used solo for minimal, lightweight protection. One jacket, three options… and it's Mix & Match compatible! This garment is rich in feminine touches but not at all excessive... and its warmth-to-weight ratio is superb. The main jacket features a waterproof, breathable membrane for top-grade protection, while its zip-out liner contains Primaloft® fill. 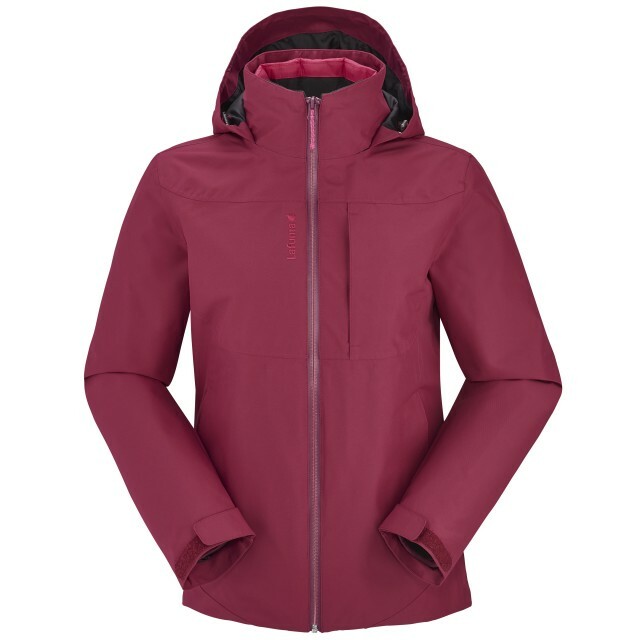 Its heathered fabric exudes urban style, but inside offers hiking-jacket performance.